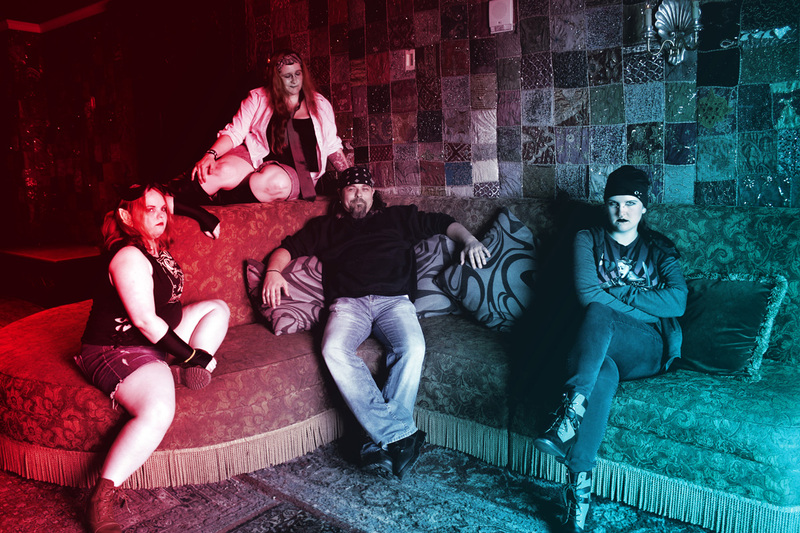 Join us at HLGCon at the Showboat in Atlantic City, October 12th – 14th, where the Winding Path Initiative will be hosting Vampire the Masquerade in the Blood & Betrayal Chronicle, along with showcasing the Huldufólk playtest. Get the “Full Weekend” ticket to play our games and enjoy the convention, or buy a single day ticket if you’re only available Saturday. Either way, join us Saturday afternoon for our debut of Huldufólk. Whether you call them Huldufólk, Hidden People, or Elves, every culture has quietly known the truth: we are not alone. We share this world with them, they influence our lives, and they are very much like us. Take on the role of the hidden people, and jump straight into their world. At the start of the playtest we’ll introduce you to the setting of the game, helping you create the background and motivations for your own character. Join one of the Huldufólk factions pushing for their goals, as your decisions help form the setting as the game launches. Remember: No matter what, you can just show up to the playtest. All the details here are optional, for the purposes of feeling more prepared walking in, but we’ll provide you with everything you need on site at the playtest. Choose between the three types of Huldufolk, and choose a faction for your character. Filling out the character survey before-hand will let us know what you’ve chosen, and what motivations your character gears towards. Whether or not you do this ahead of time, you’ll be able to easily select these things at the playtest, and we’ll help provide you goals for the game. Our survey provides the basic explanations about Huldufolk society, but feel free to read the full setting if you have the time. Pick up a pre-made one at game. This is the easiest option, and what we expect most players to do. We’ll have a number of pre-made sheets available for you to pick up and use. Create one at game. For those with experience making character sheets, we’ll have blank sheets available for use. Creating a character should take less than 15 minutes. Create one ahead of time. If you’d like the especially prepared, of you’d like to get the best grasp of the rules we’ve created, you can take a look at the rules and character sheet ahead of time, and prepare your own. Alpha Rules Character Sheet. Print this out and follow the instructions. Full Huldufolk Alpha Rules, including power descriptions and resolution mechanics. Optional: Provide Rules Feedback. If you’re familiar with Larp game mechanics, what do you think of our rules set? If you’re attending the playtest, perhaps keep this in mind for the playtest and provide us your feedback afterwards. Step Four: Read the Premise, which will give you the background information for our HLGCon game. Step Five: Show Up! At the playtest we will walk players through the game setting, help them make connections to other characters, and provide information on your faction goals during the event. Any amount of costuming is encouraged but not required, any amount of preparation is optional, no previous role-playing experience is required! 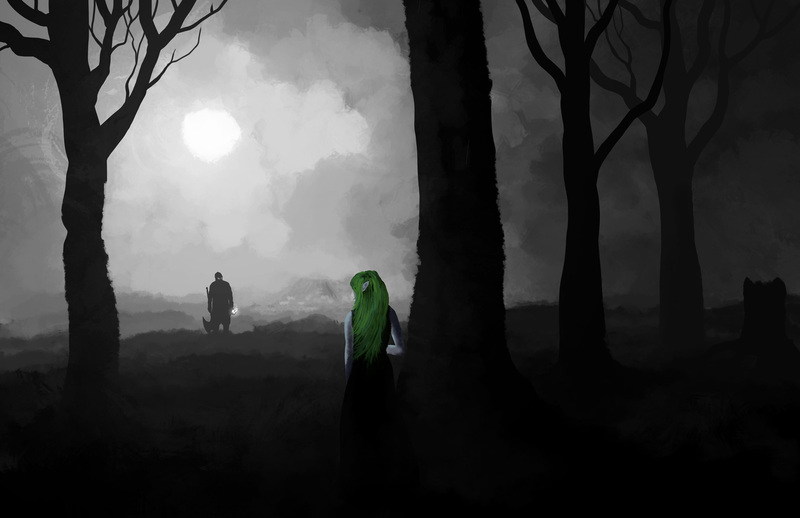 Each of the Huldufólk factions have strong opinions about how the events of this playtest should go, and we’ve cast a full set of NPCs to guide players through the politics and intrique of the Huldufólk. As the harvest season ends and the cold creeps into our bones, the veil between our world and the world of the hidden will reach its thinnest point, and the hidden people will gather. At this Hallows’ Eve, the patience of the Huldufólk’s Blessed has been stretched to its breaking point — as is the newest reluctant member of The Banished, Anora. Anora lived a fairly run of the mill life, working at a bar on the rough side of Chicago, supporting a child from a former regular who loved her and left her. One night, trying to protect a friend, she killed what turned out to be an innocent man, sending her spiraling into the world of the Huldufólk’s malevolent Banished. 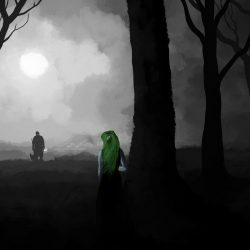 Now she must face the truth: the man she scorned for leaving, Óskar, never truly left at all, and leads the Judges of Light, warriors of justice for the Blessed. Anora has been pulled into a dangerous feud that may lead to civil war, a disaster for the Hidden People. All the factions of the Huldufólk have their eyes on this quarrel, and its resolution might spell doom — or a great advantage for some of them, if they play their cards right. This year’s Hallow’s Eve celebration is hosted by The Agents of Balance, an independent Huldufólk faction who often brokers the delicate peace between the Huldufólk’s Banished and Blessed. The Huldufólk are gathering in Atlantic City, which is having its own troubles. 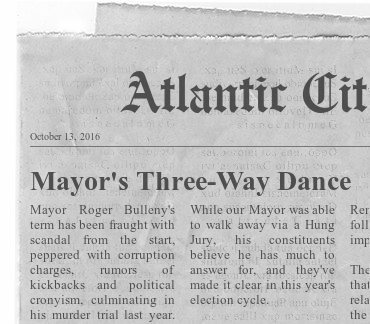 Mayor Bulleny has spent years profiting off rampant corruption and city exploitation. After barely escaping jail in a bribery and murder conspiracy trial last year, he’s up for re-election, with some stiff competition. One of his opponents wishes to squash the corruption seizing the city, redirecting taxes from casinos towards improving the lot of the city’s poor and downtrodden. A third contender, with flashy TV ads and a charming smile, proposes a radical modernization of the city — complete with a monorail and massive investments in luxury housing. Constituents are torn deciding between assistance for the city’s growing homeless population, or a promising futuristic tomorrow, while its perpetually shady Mayor seems poised to eek out a win through the support of the city’s seediest elements. There’s a new ghost story rolling around Atlantic City about a poker player who lost everything on a bad hand, and jumped off the roof of the Casino. If a poker player comes to the roof of said casino after midnight, they’ll be thrown off — but, if they come with a King of Hearts (the card the unfortunate gambler needed to win his fateful hand), they’ll be given good luck. Of course, a casual investigation into the story reveals no such man has ever existed, and this story appeared out of thin air mere weeks ago. Yet the legend is picking up speed, and the power behind it is gaining more and more believers. This is clearly a Rogue Huldufolk, trying to become his own Urban Legend. No matter your faction, it believes that he needs to go down. 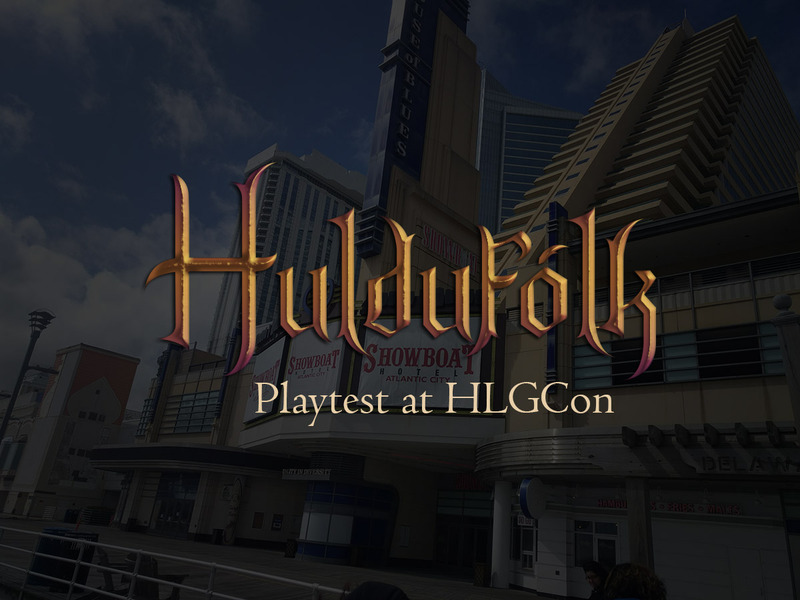 Come join us at HLGCon for our exciting public debut of Huldufolk. For any questions related to Huldufólk, please contact Joe Terranova.